Attached is information regarding employers and Social Security “no matches,” courtesy of The Saqui Law Group, a division of Dowling Aaron. Click the button link below for the flyer or follow the direct link for more information: http://www.laborcounselors.com/news-resources/news/20-immigration/581-social-security-mismatch-and-immigration. This entry was posted in NEWS & ISSUES on April 12, 2019 by ccgga. FREE Upcoming Weed Science Extension Meetings April 2nd and April 11th! The University of California Agriculture and Nature Resources Cooperative Extension is offering FREE Weed science extension meetings. The first meeting is scheduled for April 2nd located at the Westside Research and Extension Center in Five Points, CA. The second the meeting is on April 11th at the Kearney Agricultural Research and Extension Center in Parlier, CA. Space is limited so call the UCCE Merced County office at 209-385-7403 to register. Contact Lynn Sosnoskie at lmsosnoskie@ucanr.edu if you have any questions about the program. Please see the attached flyers below for more information. This entry was posted in NEWS & ISSUES on March 12, 2019 by ccgga. Association President/CEO Roger Isom and Director of Technical Services Christopher McGlothlin traveled to Ft. Collins, Colorado this week to participate in an important five (5) year Project Plan Workshop at the Plains Area Office in Ft. Collins. Joining them was Association Chairman Tom Gaffney of the J.G. Boswell Company. Many topics were discussed as the purpose of the meeting was to determine research priorities for the next five years for the cotton ginning laboratories in Las Cruces, New Mexico; Lubbock, Texas; and Stoneville, Mississippi. Critical priorities identified for California included contamination, sticky cotton, roller ginning and drying alternatives. Attending the meeting were researchers and scientists, regional administrative leaders, and industry stakeholders. This entry was posted in NEWS & ISSUES on March 7, 2019 by ccgga. 1-hour Sexual Harassment Prevention Nonsupervisory Webinars. Next event is MARCH 8th! This entry was posted in NEWS & ISSUES on March 6, 2019 by ccgga. The California Cotton Ginners and Growers would like to congratulate Cannon Michael who was distinguished as the Far West honoree for the 25th class of High Cotton Award winners! Michael is the president of Bowles Farming Company and the sixth generation of the Bowles and Lawrence families to work the family business. 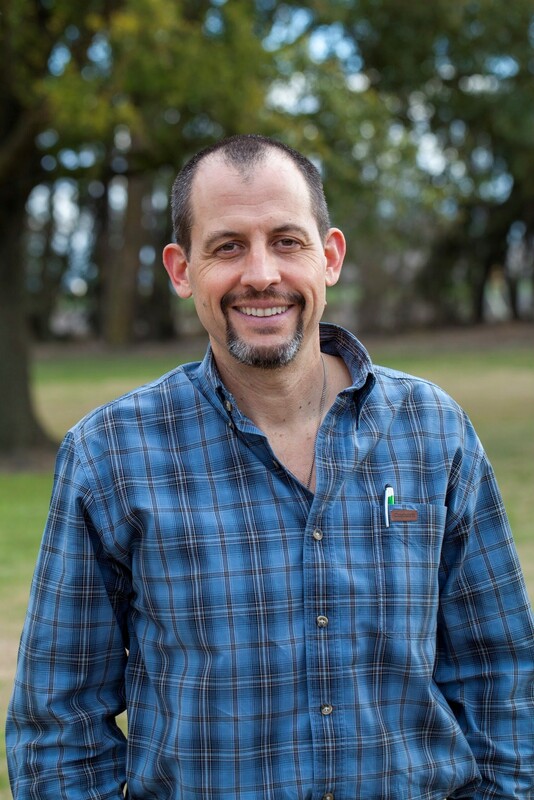 Michael is a leader when it comes to water policy, environmental stewardship, sustainability, as well as being an outspoken advocate for the California cotton industry. Michael previously chaired the California Cotton Ginners & Growers Association and the Cotton Foundation, as well as previously served on the National Cotton Council and the San Joaquin Valley Cotton Board. He currently serves on the California Cotton Alliance, Cotton Incorporated and the Board of the California Cotton Ginners and Growers Association. Not only a leader in the cotton industry, Michael currently chairs the San Luis and Delta Mendota Water Authority board, comprising of 29 member agencies and two million acres of land with varied users including farms, environmental and urban uses. Michael utilizes various technology and research in his cotton production including pioneering with Dr. Bill Weir, 30-inch row spacing to provide increased yield, integrated pest management practices, sub-surface drip irrigation, rotational cropping and drone technology to scout fields for nutritional deficiencies and pest outbreaks. California Cotton Ginners and Growers Association would like to thank Cannon for his dedicated leadership in the cotton industry and congratulates him on this distinguished honor! This entry was posted in NEWS & ISSUES on March 5, 2019 by ccgga. 3 32.29 Meeting area and meal/rest area. 5 53.82 General safety during outdoor agricultural operations. Pathways leading to and around restrooms and drinking water. Storage areas accessed by employees. Areas within 25 feet of agricultural equipment where workers are present. 10 107.64 Intermittently exposed or exposed point of operation equipment, covered under Group 8. Points of Operation and Other Hazardous Parts of Machinery. Operationally visible moving parts of machinery covered under Group 6. Power Transmission, Prime Movers, and Machine Parts of the General Industry Safety Orders. Active agricultural operations i.e., harvesting and irrigation work. 20 215.30 Maintenance work on equipment. These requirements are modified from their original proposal which specifically mandated a lighting level of 10 foot-candles within a 25 foot radius of all agricultural equipment operating at night. This would have been impossible and the Association opposed such a requirement at every Advisory Committee meeting. The Association is currently reviewing this new proposal which will considered by the CalOSHA Standards Board on April 18th in Sacramento. This entry was posted in NEWS & ISSUES on March 4, 2019 by ccgga. The California Farm Service Agency (FSA) wants to remind farmers and ranchers across the state of federal farm program benefits that may be available to help eligible producers recover from recent heavy rains and flooding. 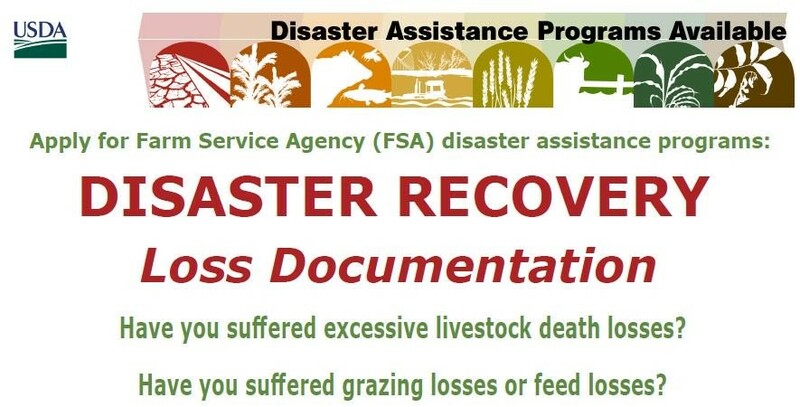 FSA also offers disaster assistance and low-interest loan programs to assist agricultural producers in their recovery efforts following floods or similar qualifying natural disasters. Also attached is a short infographic in regards to disaster assistance recovery. Any questions can be directed to Brooke Raffaele at the Farm Service Agency at 530-219-7747. This entry was posted in NEWS & ISSUES on February 28, 2019 by ccgga. Get your registration in for the 2019 Annual Meeting of the California Cotton Ginners and Growers Association! This year’s meeting will be held at the scenic Cliffs Hotel and Spa from May 15th-17th in Pismo, CA. As always, guest will be able to enjoy a Wednesday evening welcome reception followed by the CCGGA Golf Tournament Thursday morning at the Avila Beach Golf Resort. During Thursday evening’s dinner, comedian Greg Warren will be entertaining attendees. Friday morning will kick-off the Business Meeting including informaiton and updates related to regulatory and legislative activities, growers and ginners specific break out sessions as well as a look at the Association’s efforts for the year. The deadline to register is Wednesday, April 24th. The forms can be filled out and returned to our offies with a check (1785 N. Fine Ave. Fresno, CA 93710) or you may register and pay online at www.ccgga-events.com . Hotel reservation deadline is Monday, April 22nd. Accomodations can be made by calling The Cliffs Hotel and Spa at (805) 773-5000. In order to receive the group rate of $199/night, identify that you are with California Cotton Ginners & Growers Associaiton group.